This anvil is carved into the granite ledger marker placed for Christopher Columbus "Lum" Howell (1879-1965) at Goodwin Cemetery in Duluth, Gwinnett County, Georgia. The anvil on the marker is very impressive, as is the symbolism. Is there any chance that Lum Howell was an actual blacksmith by trade? That's my guess, but I haven't documented it. 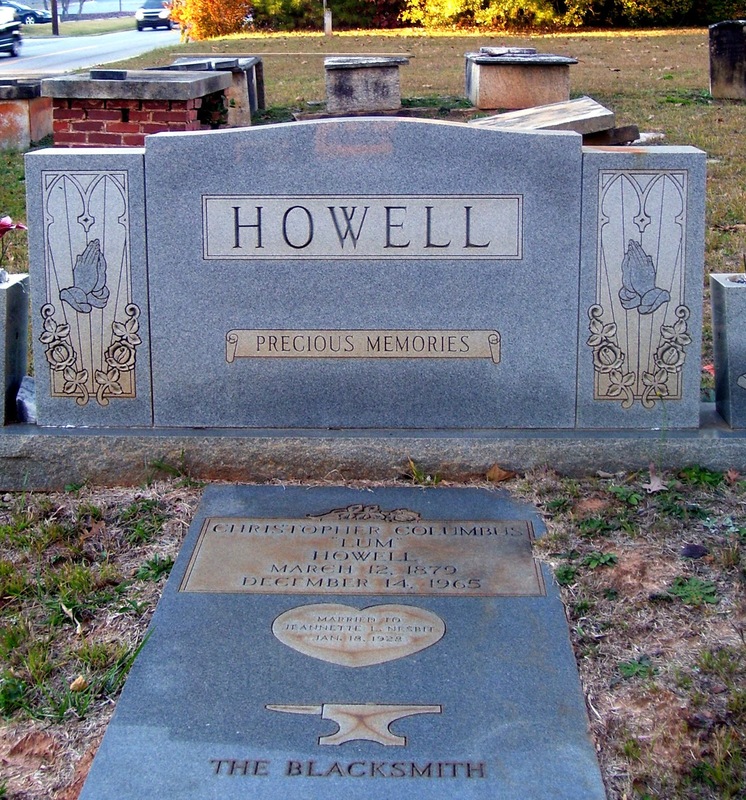 Mr. Howell was truely a blacksmith by trade and a good one. He lived in Norcross, Ga where he served as blacksmith for the folks in Norcross. He was very well liked here. His sister in-law was Clara Nesbitt, a local educator. She was the namesake for Nesbitt Elementary here in Gwinnett County. Thank-you very much for the information! I just happend to run across this while surfing the net. 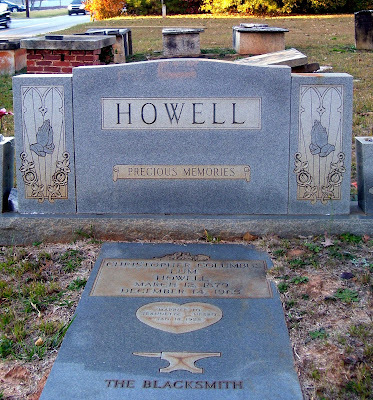 I am Lum Howell's grand daughter.My mother Ida Bernice Howell Stokes is buried next to him. Yes, he was a blacksmith, in Norcross. I actually have some of his original tools and I still live in the Duluth area. If you would like to further discuss this you can contact me at karen_stokesgarcia@live.com. Thanks so much, Karen. How cool to have some of his tools! I'm sure they are a treasure.